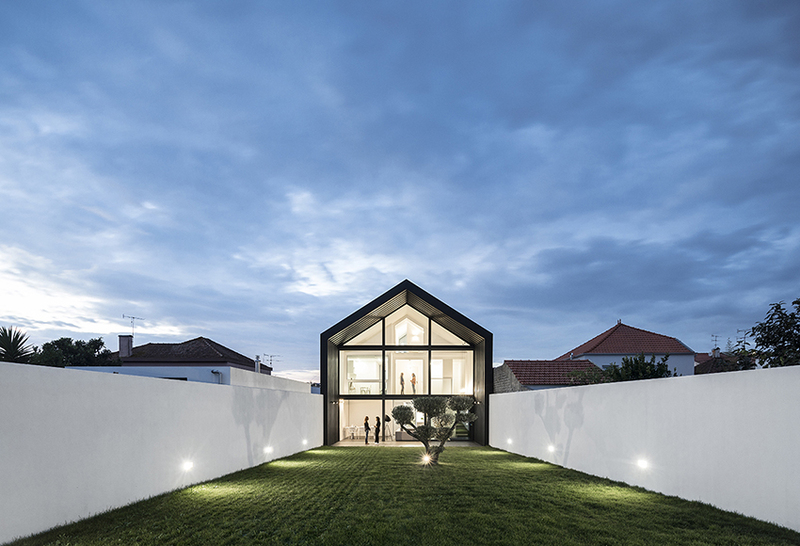 maria fradinho designs and builds her own office and home on a 940 m2 lot located on the outskirts of ílhavo, portugal. 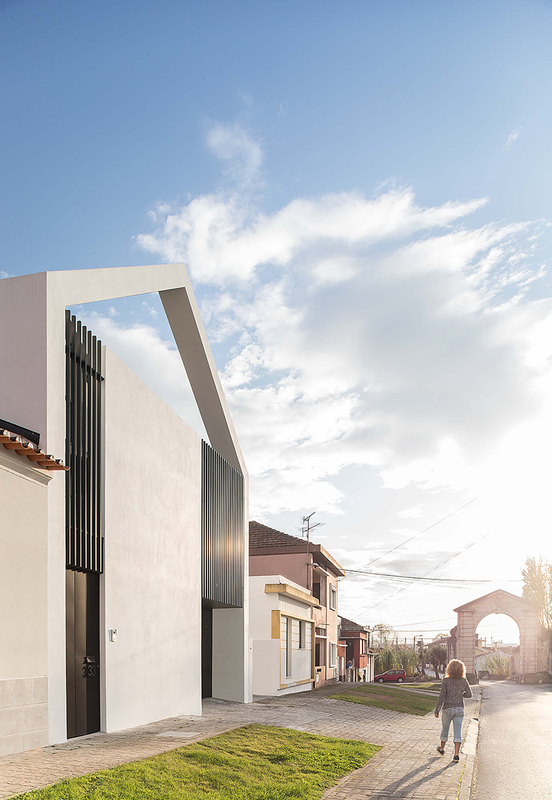 the project is inspired by the region’s porcelain industries and aims to make reference to industrial architecture by the form of the pitched roof and the use of metallic materials on the exterior of the house. 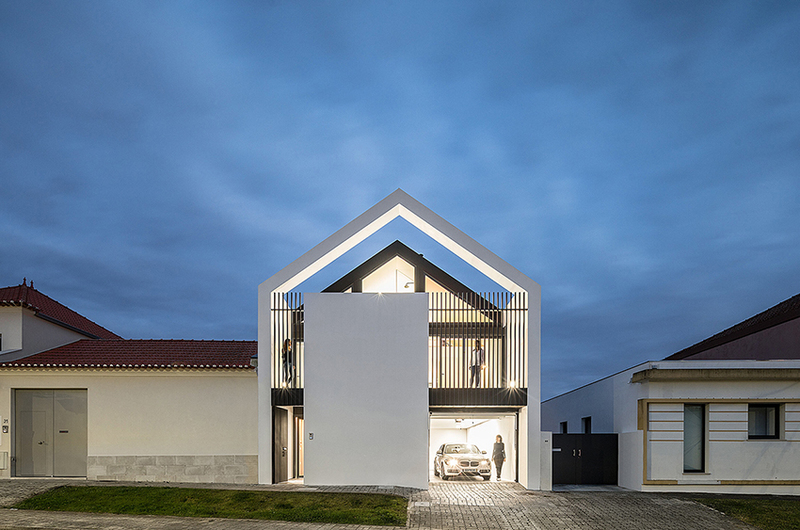 fradinho designs the main façade to align with the elevation of neighboring buildings, however it is stylized to allow the permeability of light and views. 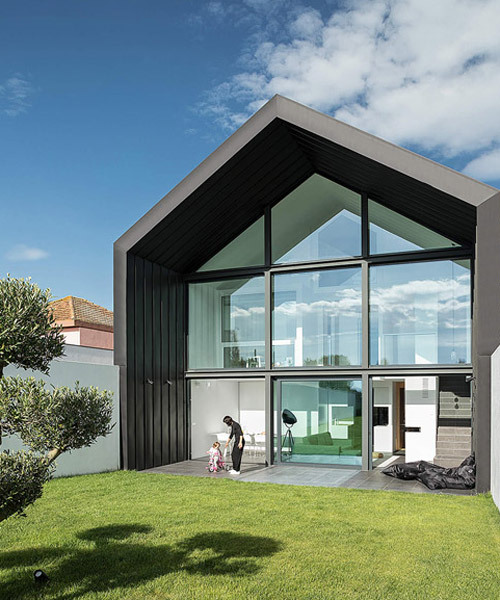 the strong pitched roof element, or ‘arch’, forms the visual identity of the building and gives it it’s name. from this front elevation, the house recedes inwards, evoking a sense of privacy and protection, and allowing the face behind to be made up of largely glazed elements as it is mostly obscured from the public street. 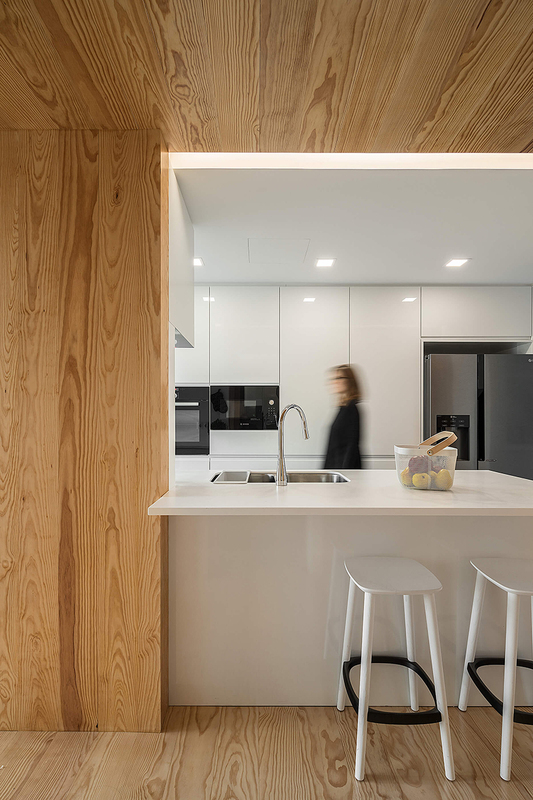 the entrance hall is a small ‘wooden box’ which provides a feeling of intimacy and welcoming. 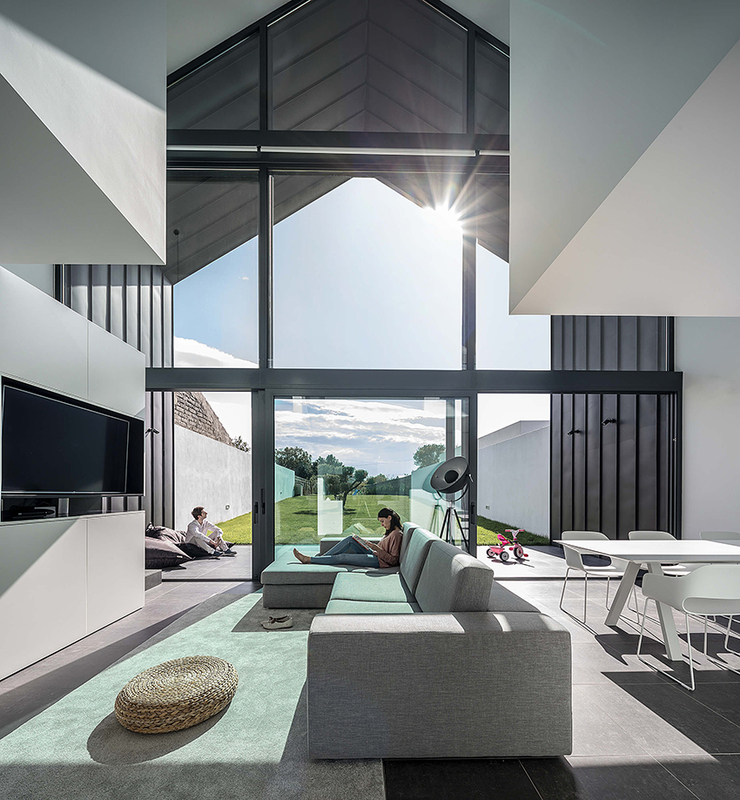 after arriving, the volume then changes dramatically and users are met with a large, almost triple-height space and views out to the back garden. 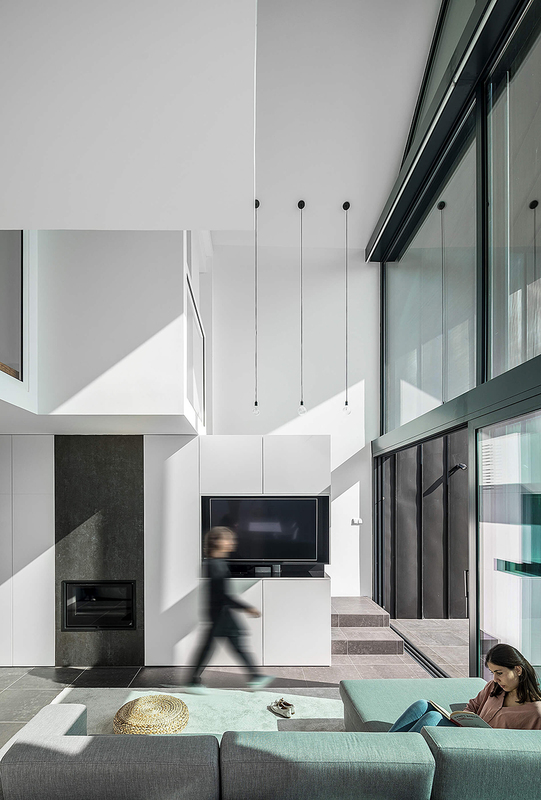 the architect articulates these rooms to create a clear transition from private to public. 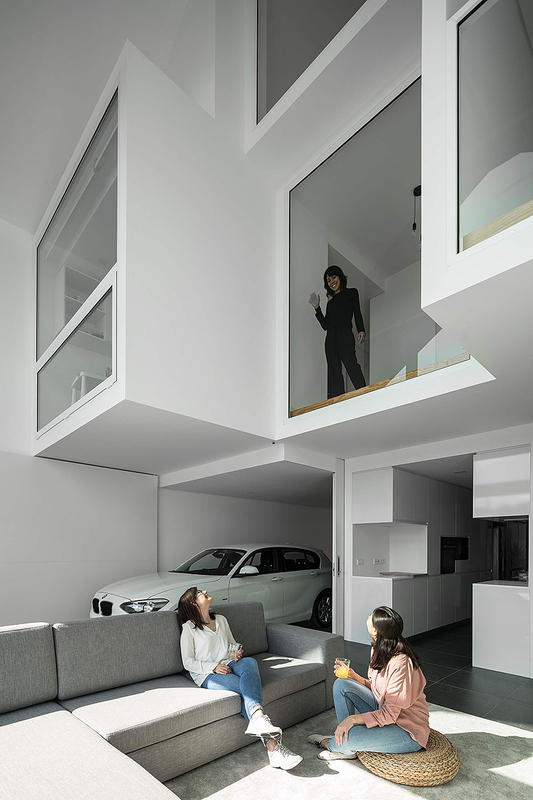 the living room becomes the heart of the home and it’s openness ensures a visual link to other areas of the house. 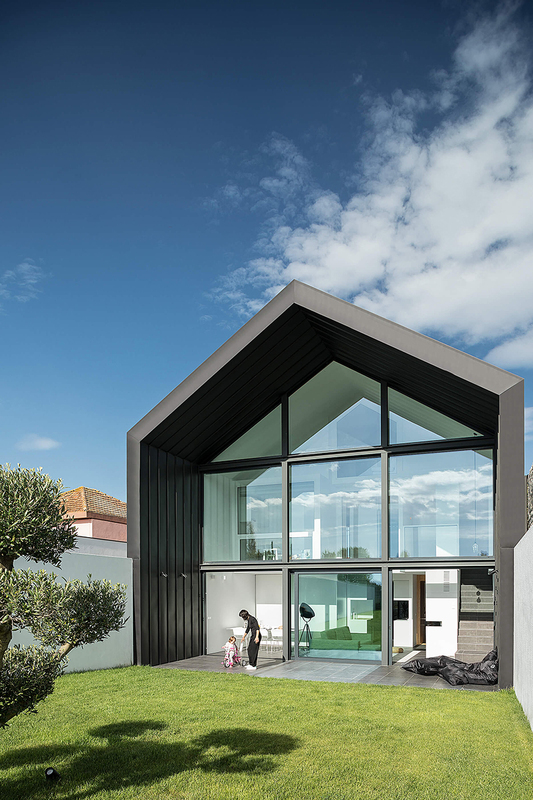 in essence, the arch house is defined by the contrasts between private and public. 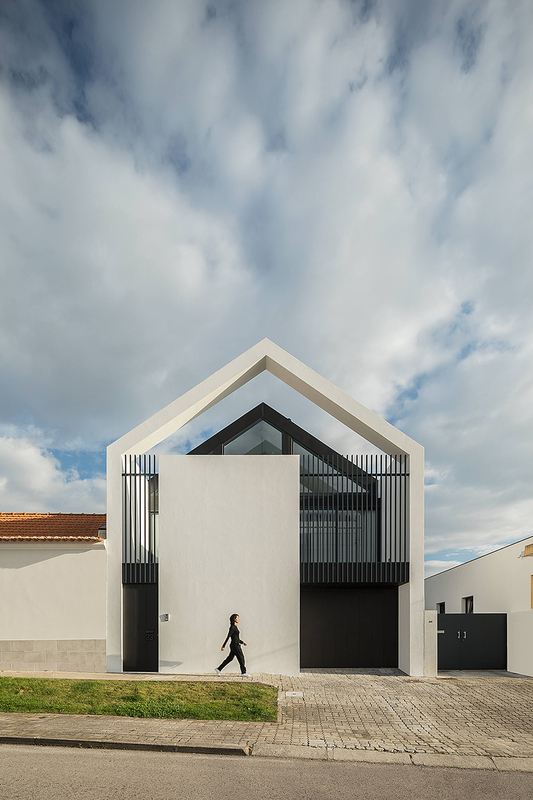 the theatrical front façade subtly entices you in, while the fully glazed rear elevation brings in vast amounts of light and creates a direct connection to the outside.